KABUL - Eighteen years ago, at the height of the Taliban’s power in Afghanistan, Roshan Mashal secretly taught her daughters to read and write alongside a dozen local girls who smuggled school books to her house in potato sacks. Mashal’s daughters have since gained university degrees in economics and medicine. But she now fears the looming prospect that the hard-line Islamist group, whose rule barred women from education, could once again become part of the government. As talks to end Afghanistan’s long war pick up momentum, women such as Mashal fear the freedoms eked out since U.S.-backed Afghan forces overthrew the Taliban in 2001 are about to slide backward, and complain their voices are being sidelined. 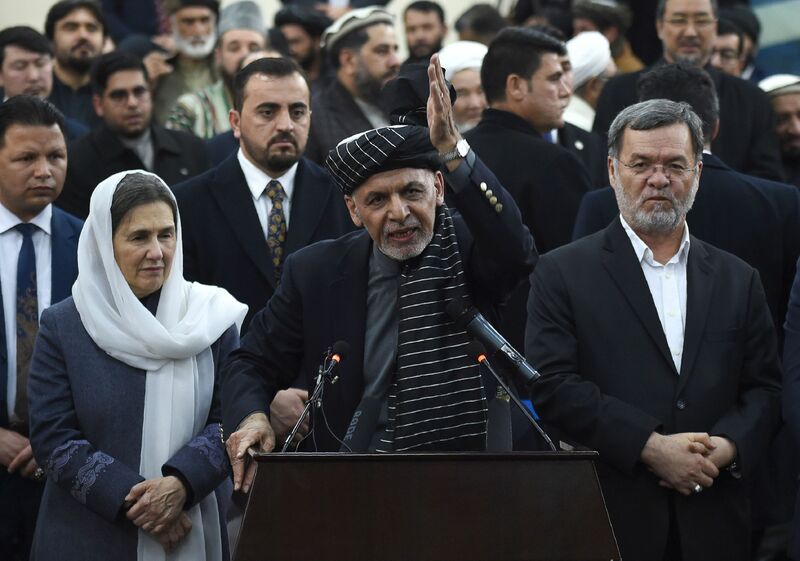 An aide to Rula Ghani, the wife of Afghanistan’s president, said the first lady had launched a survey of women in 34 provinces in a bid to amplify their voices in the peace process, with a report summarizing their views slated for February. Almost two decades of war have implicated both sides in the suffering of women. The United Nations last year expressed alarm at the increased use of airstrikes by U.S. and Afghan forces, which caused a rising death toll among women and children. Afghanistan is still not an easy place to be a woman, with forced marriages, domestic violence and high maternal mortality rates prevalent nationwide, and particularly in rural areas, according to gender equality advocates. But access to public life has improved, especially in cities such as the capital Kabul, where many women work outside the home and more than a quarter of the Parliament is female. 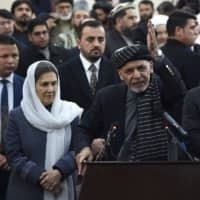 But women lawmakers and some foreign diplomats fear enshrining gender equality may take a back-seat in any peace deal to the intense international focus on ending fighting and eliminating the country’s potential as a haven for militants to launch attacks overseas. Between 1996 and 2001, under the Taliban government that called itself the Islamic Emirate of Afghanistan, women were banned from work, required to wear the full-length burqa that covered their faces, and not allowed to leave the house without a male relative. The Taliban say they have changed, and that they would allow women to be educated, though they say schools should be segregated by gender and women required to wear loose clothing. “We want Afghanistan to move forward with its present achievements and developments. But there are some reforms and changes the Emirate will struggle for,” spokesman Zabiullah Mujahid said last month. That is not enough to assuage the fears of women such as Karima Rahimyaar. She is the main provider for her family after her first husband was shot and killed by the Taliban in Kunduz province in 1996 and her second was injured and left unable to work after being imprisoned by them around three years ago. She regularly comforts her university-aged daughters, who feel sick when they hear gunshots or mention of the Taliban. “It is very difficult for me,” she said. Like many Afghans, she is desperate for peace and wants an end to the near-daily attacks across the country, which claimed the life of her 32-year-old son, a police officer, in 2016. But not, she says, at the expense of women’s rights. “If there are no agreements and commitments, women will be inside the home and they will be deprived of everything,” she said. Wazhma Frogh, a member of Afghanistan’s High Peace Council, tasked with negotiating with the Taliban, said that she and the 11 other female members of the group had to fight to have their perspective heard. “To get access is difficult,” she said, saying that at times women had to raise their voices in meetings to avoid being ignored and that gatherings were sometimes held late at night in venues women did not feel comfortable traveling to. Though the Taliban is refusing to include the Afghan government in formal talks, Frogh and other members have informally met with the insurgent group and with U.S. special envoy Zalmay Khalilzad. Meanwhile young women such as Zuhal Babakarkhil, one of the fast-growing segments of the population who have reached adulthood since the fall of the Taliban, say Afghan society has changed. “In Afghanistan the women are no more the women from 20 years back,” said the 28-year-old, who was in her first year of school when the Taliban took power and whose family fled overseas. She now lives in Kabul, plays cricket and promotes higher education among girls. She says that social media such as Whatsapp and Facebook gives women access to organizing networks at home and abroad that would be tough to curtail. She said she has no intention to leave Afghanistan, despite her worries about the Taliban returning.